Thanks to the PIVOINE PURE complex, this light, fresh lotion helps keep skin matte and leaves it looking beautiful day after day. • HYDRATION: the skin is immediately moisturized, it feels soft and comfortable • A MATTE COMPLEXION: the skin looks freed of excess sebum, pores appear less visible • RADIANCE: the complexion looks fresh and luminous. The skin feels perfectly clean and comfortable. It glows with freshness all day long. Apply every morning to clean, dry skin, either to the entire face or focusing on shine-prone areas. Suitable for combination to oily skin. Use a mattifying fluid as the base for skincare routine if you wish to maintain a perfect and luminous look. Hydration is fundamental for skin comfort and balance. 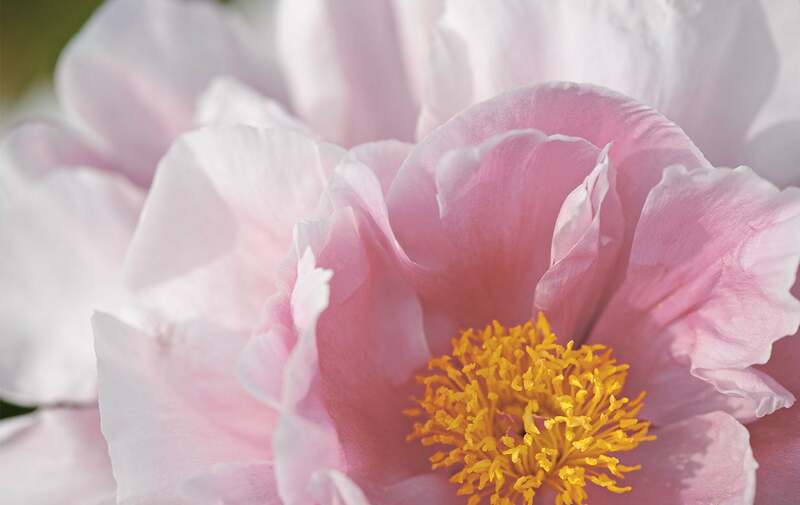 CONSUMER TEST: Immediately, skin looks freed of excess sebum (90%)* Immediately, skin is suppler (90%)* After one month, the skin is more luminous (83%)* *Test on 30 women during 4 weeks A peony flower coming into bloom is truly stunning. The flower transforms, revealing a natural unique beauty, with perfectly velvety, fresh and luminous petals. The L’OCCITANE Laboratory has developed the PIVOINE PURE complex, which combines the perfecting properties of its peony extract from the Drôme region with the astringent and rebalancing properties of a Mediterranean lemon extract, to meet the specific needs of combination to oily skin. I wear this cream everyday and I have noticed a clear difference in my face. I’m so in love with this cream. It has helped me to get rid of my oily skin and make the skin more softer and look fresh. It is a light cream and smells so good. I feel so relaxed and fresh when I apply it. Not only that, my friends have also noticed that there is a difference in my face after using this product. Thank you very much Loccitane!!! I’m truely satisfied with the product quality and the results!!! Lovely product. Container needs improvement. This light moisturiser perfectly suits my combination skin, leaving it feeling soft and supple, without the shine that can result from other products. Easy to apply, with a delicate scent. As others have mentioned, the tube design does not allow you to use all the product. I cut the top off the tube and dipped a finger into the remaining product. By doing this, I managed to get another two weeks' worth!! L'Occitane: if you read these reviews, a packaging re-design would be appreciated, please. Pretty good oil control that lasts most of the day (with face powder) but no obvious hydration or other benefits after 2 months use. Scent is not unpleasant. Not sure if it is worth repurchasing at this price. I wear this every day and it feels so soft and moisturizing. It's excellent at covering up pores and keeps me shine-free for the whole day! Which is saying something, considering I have incredibly oily skin and no product has ever done that for me. The pump is really convenient and you only need two pumps to cover the whole face. I will keep repurchasing it for sure!